Dr. Reynardo Adorable is a board certified chiropractic physician who specializes in rehabilitation and helping his patients get back to their normal level of activity as soon as possible. Dr. Adorable and his staff at Advanced Wellness and Rehab Center, serve Texas residents who live throughout the Carrollton area. Unlike physical therapy, the purpose of rehabilitation is to re-teach proper movement to functions of the body that have experienced a traumatic illness or injury. After an extended period of immobility, the muscles and connective tissues of a joint or other areas of the body can become stiff and rigid. It may be difficult for a person to resume their normal activity without pain and discomfort. Rehabilitation exercises and techniques are used to rebuild an injured or damaged area of the body from the ground up, strengthening the tissues and guiding it so that it functions correctly. Rehabilitation is normally required after a lengthy or extensive illness. It may also be needed if a joint has been reconstructed or the structure of the body has been changed in some way. Rehabilitation exercises retrain the tissues and the joints so they can resume their normal function and begin to regain their strength. 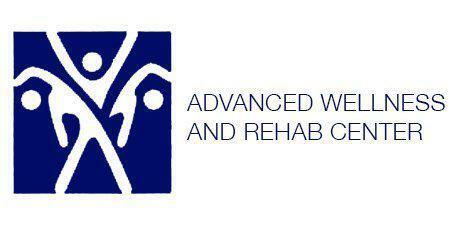 Physical therapy and rehabilitation allow the patient to become used to how the newly constructed area functions. Bones and joints that have been restricted in their movement for a lengthy period of time may require certain exercises that allow them to adapt to physical changes and encourage proper healing. Rehabilitation isn’t always necessary, but it can be extremely helpful during the healing process. Inflammation can damage both muscle and skeletal tissues if left untreated. The resulting damage can eventually disrupt how the body functions. While physical therapy works to strengthen an injured area of the body, rehabilitation helps to ensure the body functions as it should. This includes retraining muscle groups and joints on how to function efficiently if they’ve been immobilized for long periods of time. In cases where the injury wasn’t traumatic, rehabilitation may not be needed. Physical therapy will be able to provide the necessary exercises to strengthen the area and reinforce proper movements.